Include One Year of Free Online Access on the Grey House Online platform, plus a link to this content can be added to your Salem Press landing page. Don't Want to Wait? Order the Previous Edition Here. Formerly Educators Resource Directory, Educators Resource Guide is designed to provide educators, administrators, and other education professionals with immediate access to a unique combination of educational resources, along with important educational statistics and rankings. Educators Resource Guide includes associations, publications, trade shows, workshops, and training programs. 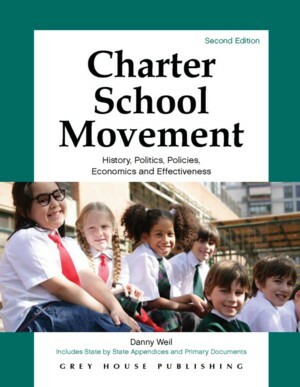 This resource is designed not only to help educators advance professionally, but also to give them the resources they need to help their students, their schools, and their state meet educational standards. It provides tools for classroom and career management, as well as resources that truly make a difference in job, school, and student performance. All listings in this comprehensive volume are thoughtfully organized in 13 chapters and 76 subchapters, making information significantly easier to access than the unfocused data available online or the scattered in dozens of different sources. Statistics and rankings are designed to help states, school districts, and individual educators better understand their educational environment and make informed decisions on careers, curricula, and funding. Includes 347 tables and charts (111 more than last edition) in 25 total categories on national and state statistics. 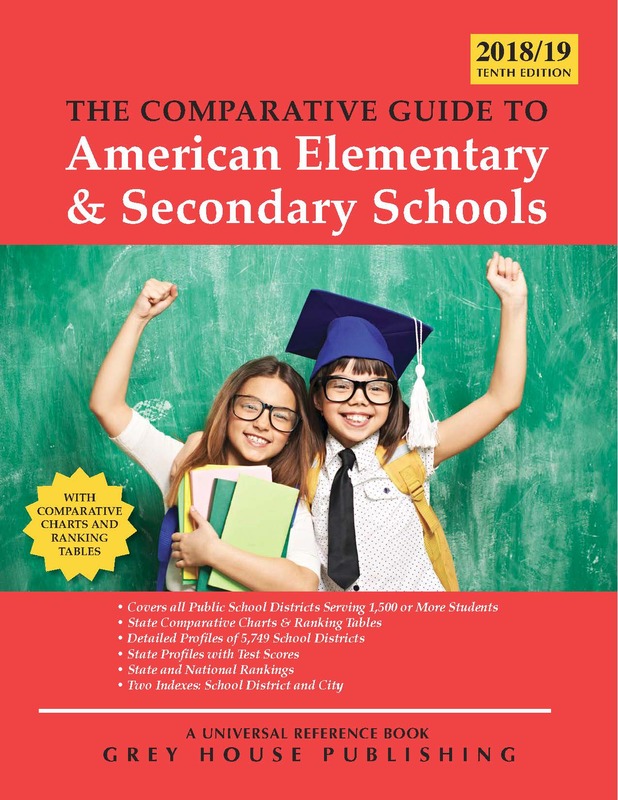 From elementary to post-secondary levels, these statistics and rankings include data not only on the American educational system, but also on Canadian and international education. Using the most current data available, this section helps to complete the picture for educators making career development decisions, for school administrators interested in comparing fiscal health and educational scores, and for anyone doing educational research. Following the statistics and rankings is a Glossary with over 100 education terms from Accountability to Vocational. Section Three contains three indexes to help the user save as much research time as possible: an Entry & Publisher Name Index with an alphabetical list of both entry names and the companies that publish the listed material; a Geographic Index featuring state-by-state listings of all entries; and a Subject Index organized by core subjects plus Special Education, Technology, and No Child Left Behind (NCLB) listings. 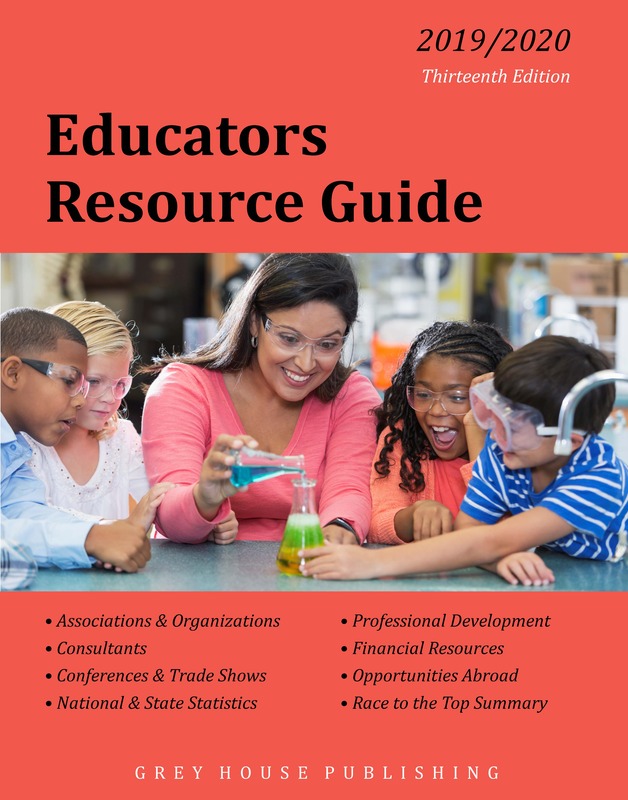 This new edition of Educators Resource Guide is an invaluable reference source for seasoned professionals in the education field, for those at the beginning of their education careers, and for all who service and support the education industry, making it a welcome addition to the reference collections of school districts, public libraries, and academic libraries nationwide. With a subscription to the online database, users can access this wealth of information in just minutes. With the keyword search, quick search and expert search on GOLD, users can quickly and easily find the information they're looking for. Plus, subscribers can do quick or in-depth searches, save their searches, save search results, sort search results, view company profiles, download contact sheets, click through to email and web hotlinks, and so much more. Call (800) 562-2139 to set up a tour of the online database.